Remember those Itty Bitty's we were talking about the other day? Well, Seibertronian xrotorstormx has found them at her local Hallmark in Lansing, MI! These adorable plush toys stand roughly 5 inches tall and are found exclusively at Hallmark. 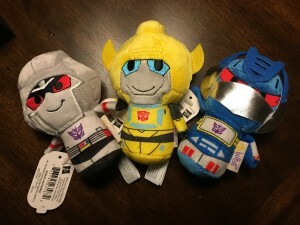 Megatron, Bumblebee, Soundwave and Optimus Prime Itty Bitty's are available to take home now. D-Maximus_Prime wrote: I agree. We totally need a pillow pet that transforms from a truck into a plush Prime. They already made some transforming pillows just like that, back in 2007. There was an OP one and a BB one. You can probably find them on eBay. I prefer to buy my plush and pillows new bc of cleanliness. 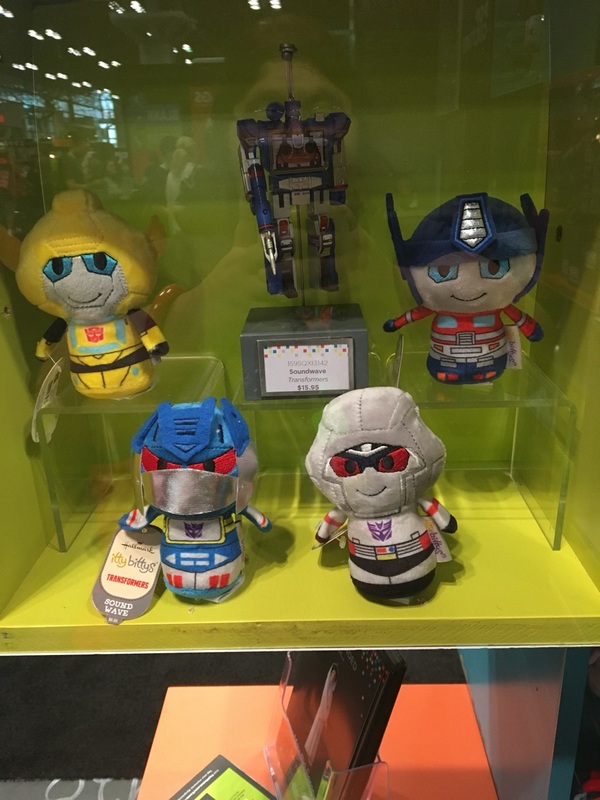 My GF found some itty bitty's in a case at NYCC (I wish I got to go!). Figured I would share so you guys can see 'em too. They are displayed with a Soundwave ornament. 4,226 pages were recently viewed by 545 unique visitors. This page was viewed 1 times on Monday, April 22nd 2019 6:01am CDT. © 2019 Seibertron, Inc. DBA Seibertron.com. All Rights Reserved. Established June 2000. Seibertron.com is owned by Ryan Yzquierdo.